Glendale TaeKwonDo Academy can change you from the inside out! Are you looking for better fitness? More energy? Increased coordination? Better flexibility? Weight loss? Stress Management? All of these can happen for you with TaeKwonDo classes from Glendale TaeKwonDo Academy. We know that adults who engage in Glendale TaeKwonDo Academy's programs can dramatically increase their fitness level, lose weight and lower stress levels. This isn't your grandfather's karate class. 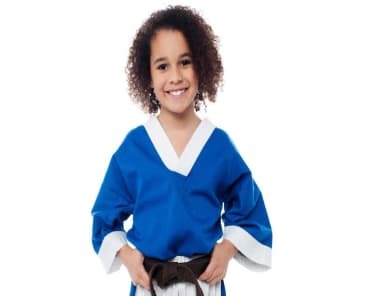 Glendale TaeKwonDo Academy has blended modern sport science, the latest research and hundreds of years of martial arts tradition to provide you with the finest martial arts experience available. Glendale TaeKwonDo Academy has taken the martial arts experience to the next level. Our program focuses on the components that increase fitness, artistic precision and self empowerment. Adults immediately feel the energy and power that comes from movements that involve kicking, punching, turning and striking. START YOUR TRANSFORMATION NOW WITH TAEKWONDO IN GLENDALE! Fill out the short form on the side of this page to get all the information you need to get started building confidence and learning real self-defense with Glendale TaeKwonDo Academy.